The last two weeks have been jam-packed with all sorts of fun things! I've been having a stressful time at work lately (though I think things may have eased up on that front as of right now), so it's been really nice to be able to take some time away from it to do things with folks I love. I'm really excited to share what's been going on with all of you today! We weren't originally planning to attend NYCC this year, mostly to save on vacation days and spending more money. The joke that we often made whenever anyone asked was that we would only go if David Tennant was announced as a guest. Guess what happened a few months out from the event? David Tennant was confirmed to be in attendance. We obviously had to attend - and to grab the chance to meet him, both through the autographing line and through photo ops. He is such a lovely human being and it was such a thrill to meet him (even though he is one of the very few people I have had the pleasure of meeting who left me speechless, along with JK Rowling and Matt Smith). We also got to see both Alex Kingston (who commented on my name and cheered about the fact we shared the same name, and I basically died of excitement internally) and Matt Smith (who complimented my skirt and just smiled at me, and I also basically died of feels), visited Artist Alley and did a turn around the floor. - Rachel and I had another day out together. 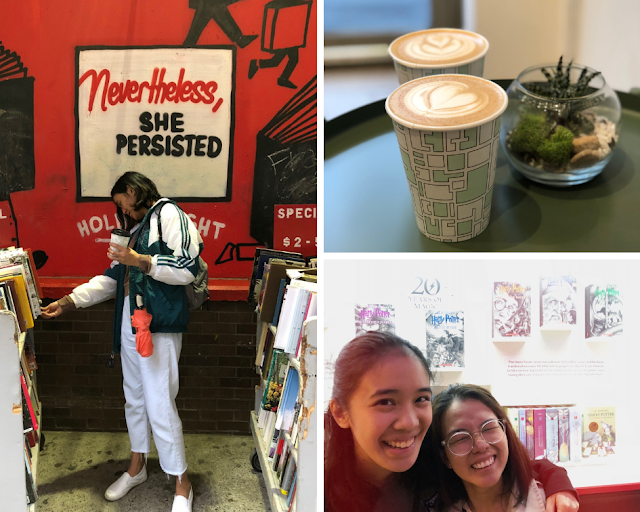 It was a bit rainy, but we went to Saltwater Coffee (which has an adorable aesthetic), the Strand (and I maaaaay have gotten some pretty classic) and did some clothes shopping in SoHo. I never take it for granted that my baby sister is currently spending time in New York with us, and I'm so glad for any moments we get to share. - I visited the "Harry Potter: A History of Magic" exhibition with Macky and our friends Pat & Ian. This compact exhibit is a wonderful look into the process and the inspiration for the series and some of its elements. I thought it was clever for them to use the Hogwarts school subjects (or most of them) to distinguish each room, and it was really cool to see all the bits of Rowling's work as she built the series. It gave me all of the Potter feels, and I'm so glad I could share it with Macky and with Pat (we've been friends for as long as the first book has been out in the world)! 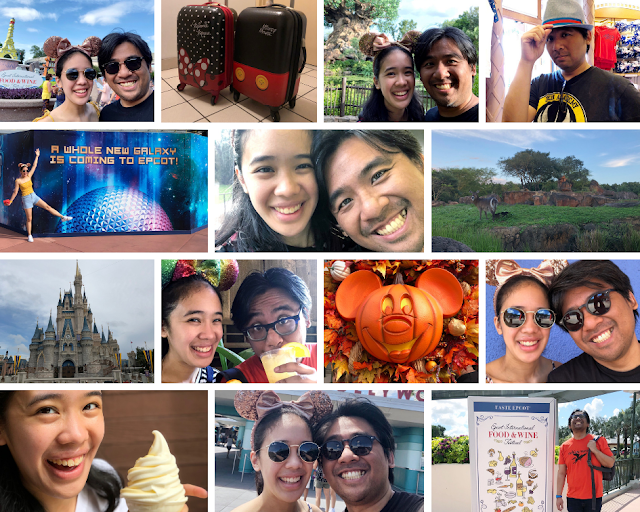 You trip to Disneyworld looks like it was SO MUCH fun! I love going this time of year because of the Epcot Food and Wine festival! I haven't been since 2015 so it is definitely time for us to go back! What an action packed two weeks! 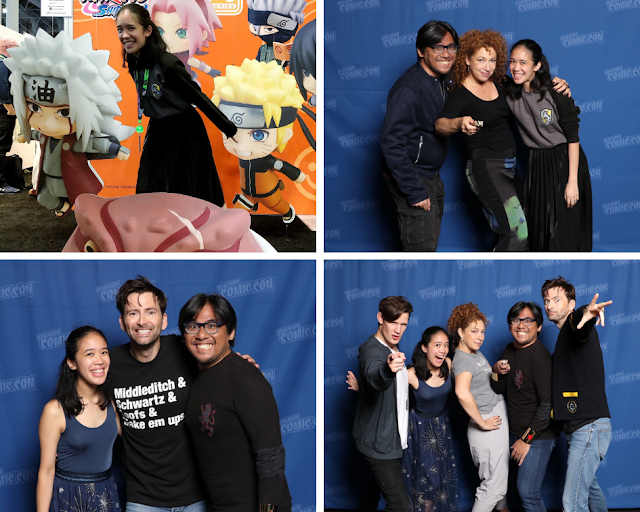 I still can't get over the photos of you guys with the Who team!